It was a great contest between the Kings and Kolkata Knight Riders at M Chidambaram Stadium, Chennai. The crowd was absolutely lit, as the kings took over the team at their Den. Toss was very crucial at that time as the pitch seemed to be very ideal for the team who is batting second. DJ Bravo was not in the playing 11, as he is suffering from hamstring injury. Mahendra Singh Dhoni, won the toss and elected to bowl first. The 37 year-old wicket-keeper batsman has set standards in the Indian Cricket Team and in their franchise. He was amazing with his field sets last night. Deepak Chahar was given the new ball. He was amazing with his off-cutters and Leg-cutters. He destroyed the Knight Rider’s batting line-up. Chris Lynn was out-LBW in the first over. The next move by the skipper was a treat to watch! Harbhajan Singh was introduced into the attack. Sunil Narine, who seemed to be destructive in the last match, fell as a pray to Bhajji’s Flipper. He was caught at the point by Chahar. Next-in was Robbie Uthappa. He hit two boundaries on the short ball bowled by the Chahar. Well, we all know MSD is known for his best cricketing minds. He pushed Kedar Jadhav to deep mid-wicket and he asked his bowler to ball a slow short delivery. Uthappa pulled the ball down to the deep mid-wicket! He was not aware about the field, and was out-caught by Kedar Jadhav. The pitch was totally a spinning track and the Knigh Riders couldn’t read the wrong one’s initiated by the CSK bowlers. 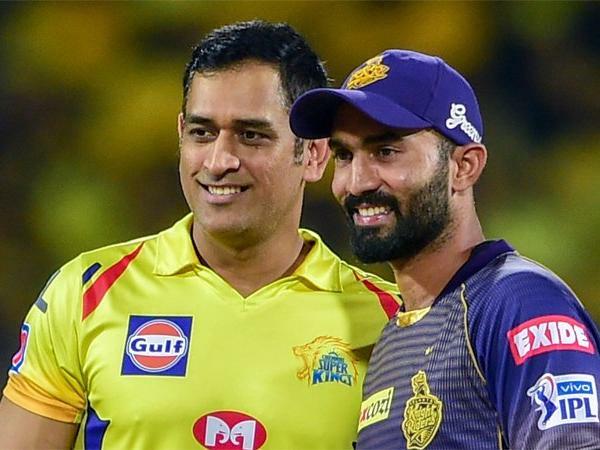 Dinesh Karthik, leading the Knight Riders took the innings till 15th over and was out-caught by Bajji. The Jamaican! Andrew Russel, who is in his peak form couldn’t deliver things to his potential as the pitch was very slow, he couldn’t showcase his hard-hitting. He scored 50runs of 44balls, which was deliberately needed for the Knight Riders. 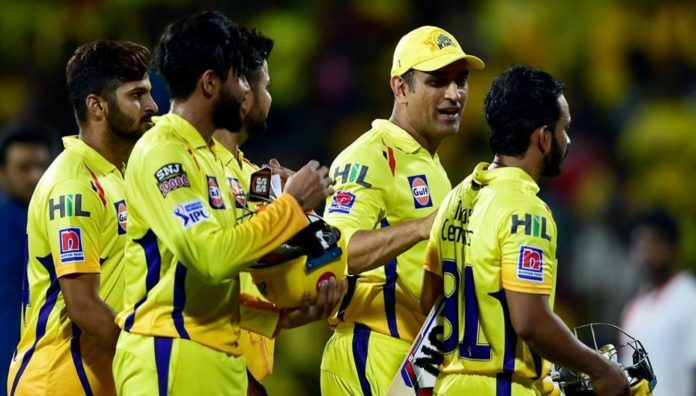 CSK was asked to chase 108 runs of 120 balls. It was a gettable target for the kings as they knew the pitch very well. Despite they knew, they were off to a shaky start. Shane Watson looked brilliant when he striked a six over Mid-on! Well, he couldn’t take the momentum for long. He was dismissed with the first power-play. Faf Du Plessis and Kedar Jadhav took their team on a winning side. In the Post match presentation, MSD says he wouldn’t want to play on wickets like these as the track gets too slow and the match goes very deep for both the teams.